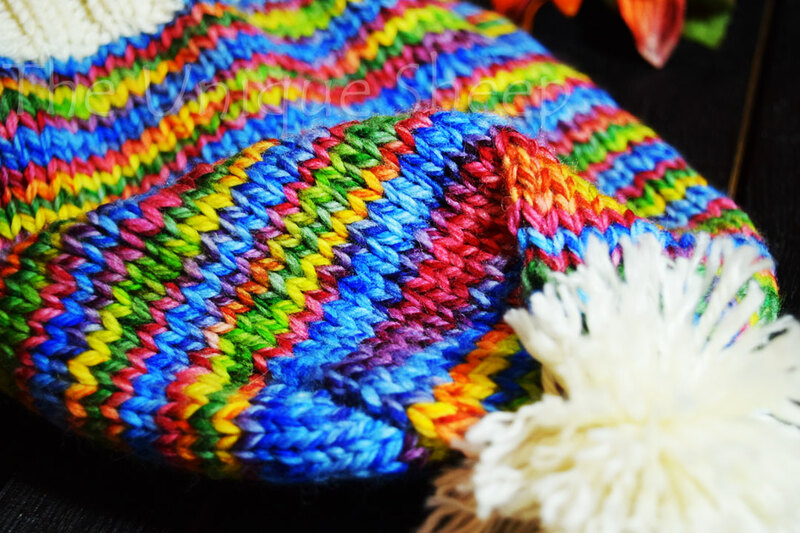 This hat is offered in two different yarn options. The “Tweed” option includes a wool yarn that must be handwashed. This kit is ideal for colder climates, the wool will felt slightly with wear to make the hat warmer and more resistant to wind and rain. The Tweed yarn also has a fun barber pole striped look. Super Wool is still used for the white band touching the skin at the forehead since it is our softest wool yarn. The “Super Wool” option includes all machine washable superwash merino wool. 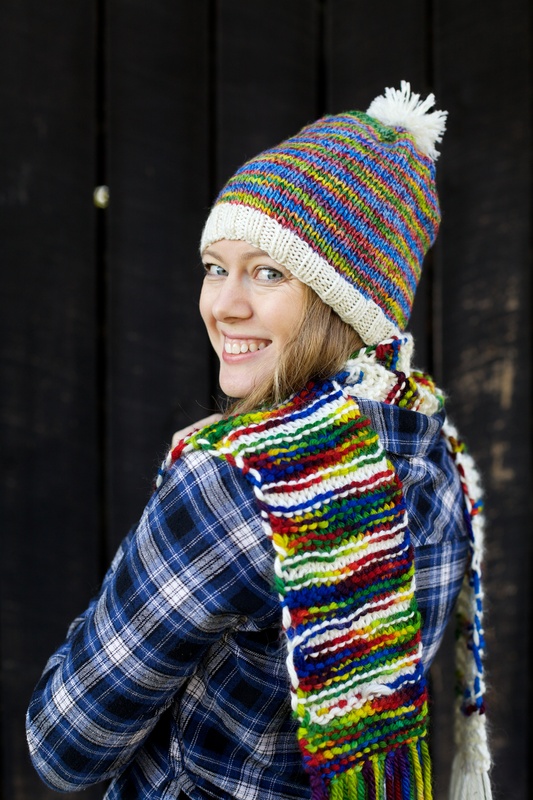 This option is ideal for more moderate climates and for those who prefer easy-care machine washable knits. 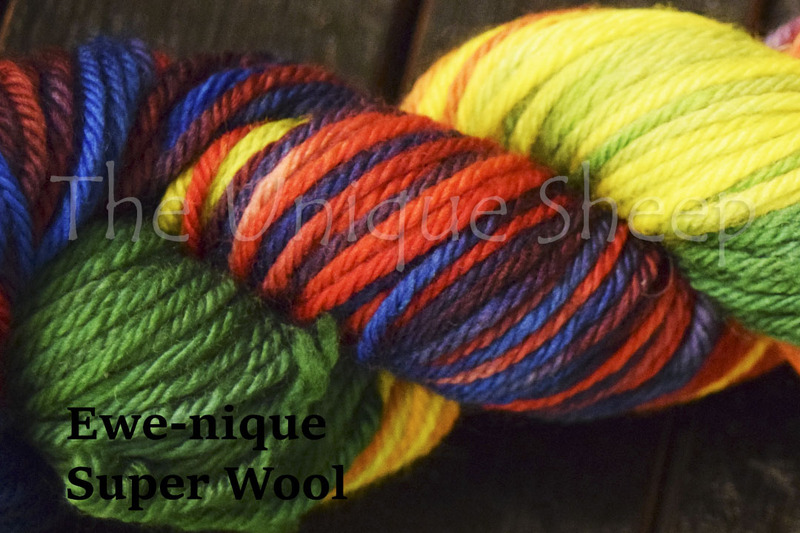 The Super Wool yarn dyes up in solid, vibrant colors.